View Stores by FREE SHIPPING Policies: Free Shipping on All Purchases, Free Shipping w/Minimum Purchase, Free Shipping on Beauty Purchases, Free Shipping w/Minimum Beauty Purchase, Free Shipping for Members, Free Shipping w/ Specific Order Type, Free 2-day Shipping Available, or Free Returns Available. AMOREPACIFIC – Free Shipping on all purchases. Baby Quasar – Free Shipping on all purchases. Barneys – Free Shipping on all purchases. Free Returns on all purchases. Beauty Bridge – Free Shipping on all purchases. Beauty Expert – Free Shipping on all purchases. Beautycon – Free Shipping on all purchases. BeautyStoreDepot.com – Free Shipping on all purchases. Bellápierre – Free Shipping on all purchases. Bergdorf Goodman – Free Shipping on all purchases. Free 2-day Shipping for ShopRunner members on ShopRunner marked items. Free Returns within 15 days (of delivery). Box of Style – Free Shipping on all purchases. Bumble and bumble – Free Shipping on all purchases. Burberry – Free Shipping on all purchases. Free Returns full price items within 30 days of shipping and all sale items within 14 days of shipping. Butter London – Free Shipping on all purchases. Cargo Cosmetics – Free Shipping on all purchases. Caudalie – Free Shipping on all purchases. Chantecaille – Free Shipping on all purchases. Charlotte Tilbury – Free Shipping on all purchases. Free Returns on all purchases. Clarisonic – Free Shipping on all purchases. Free Returns within 90 days. Clé de Peau Beauté – Free Shipping on all purchases. Free 2-day Shipping for Orders over $150.00. Colorescience – Free Shipping on all purchases. Darphin – Free Shipping on all purchases. Free Returns on all purchases. Decorté – Free Shipping on all purchases. DERMAdoctor – Free Shipping on all purchases. Dermstore – Free Shipping on all purchases. Free Returns on all purchases. DermWarehouse – Free Shipping on all purchases. DevaCurl – Free Shipping on all purchases. Free Returns free to delivery addresses in the Contiguous United States only. Dior – Free Shipping on all purchases. Erno Laszlo – Free Shipping on all purchases. Estée Lauder – Free Shipping on all purchases. Free Returns on all purchases. Flawless – Free Shipping on all purchases. FRÉ Skincare – Free Shipping on all purchases. GlamGlow – Free Shipping on all purchases. Glossybox – Free Shipping on all purchases. Grow Gorgeous – Free Shipping on all purchases. HSI Professional – Free Shipping on all purchases. ipsy – Free Shipping on all purchases. Jane Iredale – Free Shipping on all purchases. Free Returns on all purchases. Jo Malone – Free Shipping on all purchases. Free 2-day Shipping for Complimentary overnight with orders of $150+. Free Returns (engraved items not eligible for exchange or return). Kat Burki – Free Shipping on all purchases. Kate Somerville – Free Shipping on all purchases. Free Returns on all purchases. La Mer – Free Shipping on all purchases. Free Returns on all purchases. La Prairie – Free Shipping on all purchases. LAB SERIES Skincare for Men – Free Shipping on all purchases. Lifeline Skincare – Free Shipping on all purchases. Lisa Angel – Free Shipping on all purchases. Living Proof – Free Shipping on all purchases. Free Returns within 60 days. Lovely Skin – Free Shipping on all purchases. MAC Cosmetics – Free Shipping on all purchases. Free Returns on all purchases. Macadamia Professional – Free Shipping on all purchases. Mankind – Free Shipping on all purchases. Mio Skincare – Free Shipping on all purchases. Molton Brown – Free Shipping on all purchases. Moroccanoil – Free Shipping on all purchases. MyChelle – Free Shipping on all purchases. Free Returns on all purchases. Natural Healthy Concepts – Free Shipping on all purchases. Neiman Marcus – Free Shipping on all purchases. Free 2-day Shipping for ShopRunner members on ShopRunner marked items. Free Returns on all purchases. Nordstrom – Free Shipping on all purchases. Free Returns on all purchases. OLE HENRIKSEN – Free Shipping on purchases with code FREESHIPPING. Free Returns within 60 days (of original purchase date). Omorovicza – Free Shipping on all purchases. Perricone MD – Free Shipping on all purchases. Prescriptives – Free Shipping on all purchases. Free Returns on all purchases. Sahajan – Free Shipping on all purchases. Saks Fifth Avenue – Free Shipping on all purchases. Free 2-day Shipping for ShopRunner members on ShopRunner marked items. Free Returns for ShopRunner members. Shiseido – Free Shipping on all purchases. Silk’n – Free Shipping on all purchases. Sisley Paris – Free Shipping on all purchases. SK-II – Free Shipping on all purchases. Free Returns on all purchases. Smashbox – Free Shipping on all purchases. Free Returns on all purchases. Spring – Free Shipping on all purchases. Free Returns within 14 days. Sulwhasoo – Free Shipping on all purchases. Tatcha – Free Shipping on all purchases. Free Returns on all purchases. The Balm – Free Shipping on all purchases. tria beauty – Free Shipping on all purchases. Trophy Skin – Free Shipping on all purchases. Von Maur – Free Shipping on all purchases. Free Returns on all purchases. 100% Pure – Free Shipping on purchases of $50 or more. Absolute New York – Free Shipping on purchases of $50 or more. AHAVA – Free Shipping with a minimum purchase of $50 plus code FREESHIP. Free 2-day Shipping for ShopRunner members on ShopRunner marked items ($25 minimum purchase). Free Returns for ShopRunner members. Algenist – Free Shipping on purchases of $50 or more. allbeauty – Free Shipping on purchases of $25 or more. Alterna Haircare – Free Shipping on purchases of $50 or more. Anastasia Beverly Hills – Free Shipping on purchases of $25 or more. askderm – Free Shipping on purchases of $49 or more. ASOS – Free Shipping on purchases of $40 or more. Free Shipping for Premier 2-day Delivery ($19/1 year) members. Free 2-day Shipping for spend $140+. Aveda – Free Shipping on purchases of $40 or more. Free Shipping for Auto-Replinish orders. Avène – Free Shipping on purchases of $45 or more. Avon – Free Shipping on purchases of $40 or more. Free 2-day Shipping for ShopRunner members on ShopRunner marked items ($25 minimum purchase). Free Returns for ShopRunner members. bareMinerals – Free Shipping on purchases of $50 or more. Beau Gâchis – Free Shipping on purchases of $25 or more. BeautifiedYou – Free Shipping on purchases of $25 or more. Beauty Bakerie – Free Shipping on purchases of $50 or more. Beauty Bay – Free Shipping on purchases of $20 or more. Free 2-day Shipping for 320.00 orders. Beauty Brands – Free Shipping on purchases of $50 or more. Beauty Care Choices – Free Shipping on purchases of $49 or more. Beauty Encounter – Free Shipping on purchases of $60 or more. Beauty Plus Salon – Free Shipping on purchases of $50 or more. Beautyhabit – Free Shipping on purchases of $75 or more. Beautylish – Free Shipping on purchases of $35 or more. Free Returns within 90 days (from delivery date). BeautySmash – Free Shipping on purchases of $50 or more. Belk – Free Shipping on purchases of $99 or more. Free Shipping on Beauty purchases. Free Shipping for Belk Elite Rewards Card members. Belli Beauty – Free Shipping on purchases of $49 or more. 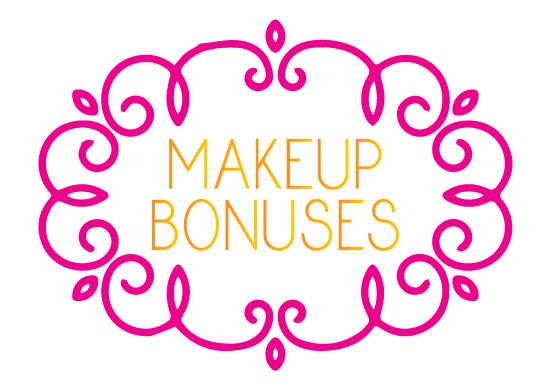 Benefit Cosmetics – Free Shipping on purchases of $50 or more. Bergner’s – Free Shipping with a minimum purchase of $75 plus code FREESHIP75. Free Shipping on Beauty purchases with code BEAUTY. Free 2-day Shipping for ShopRunner members on ShopRunner marked items ($25 minimum purchase). Free Returns for ShopRunner members. b-glowing – Free Shipping on purchases of $75 or more. BH Cosmetics – Free Shipping on purchases of $50 or more. Biossance – Free Shipping on purchases of $50 or more. Free Returns on all purchases. Biotherm – Free Shipping on purchases of $50 or more. Birchbox – Free Shipping on purchases of $50 or more. Free Shipping for Aces (VIP Program) members. Black Opal Beauty – Free Shipping on purchases of $25 or more. Bliss – Free Shipping on purchases of $50 or more. Bloomingdale’s – Free Shipping on purchases of $150 or more. Free Shipping on Beauty purchases of $50 or more. Free Shipping for Loyallists members. Free Returns on all purchases. bluemercury – Free Shipping on purchases of $25 or more. Free 2-day Shipping for 2-day shipping free over $25, overnight free shipping with $150 purchase. Bobbi Brown – Free Shipping on purchases of $65 or more. Free Shipping for Foundation, corrector, concealer and powder orders. Free Returns on: foundations, correctors, concealers and powders . Bon-Ton – Free Shipping with a minimum purchase of $75 plus code FREESHIP75. Free Shipping on Beauty purchases with code BEAUTY. Free 2-day Shipping for ShopRunner members on ShopRunner marked items ($25 minimum purchase). Free Returns for ShopRunner members. Boscia – Free Shipping on purchases of $50 or more. Boscov’s – Free Shipping on purchases of $99 or more. Free Shipping on Beauty purchases of $49 or more. Boston Store – Free Shipping with a minimum purchase of $75 plus code FREESHIP75. Free Shipping on Beauty purchases with code BEAUTY. Free 2-day Shipping for ShopRunner members on ShopRunner marked items ($25 minimum purchase). Free Returns for ShopRunner members. Burt’s Bees – Free Shipping on purchases of $49 or more. BUXOM – Free Shipping on purchases of $25 or more. C.O. Bigelow – Free Shipping on purchases of $49 or more. Carol’s Daughter – Free Shipping on purchases of $40 or more. Free Shipping for Friends of the Family ($25 annual fee) members. Carson’s – Free Shipping with a minimum purchase of $75 plus code FREESHIP75. Free Shipping on Beauty purchases with code BEAUTY. Free 2-day Shipping for ShopRunner members on ShopRunner marked items ($25 minimum purchase). Free Returns for ShopRunner members. Caswell-Massey – Free Shipping on purchases of $100 or more. Charming Charlie – Free Shipping on purchases of $50 or more. claire’s – Free Shipping on purchases of $40 or more. Clarins – Free Shipping on purchases of $75 or more. Free Shipping for Passport to Beauty (Ambassador Level) members. clariSEA – Free Shipping on purchases of $35 or more. Clinique – Free Shipping on purchases of $50 or more. Coastal Scents – Free Shipping on purchases of $50 or more. Colleen Rothschild – Free Shipping on purchases of $49 or more. ColourPop Cosmetics – Free Shipping on purchases of $30 or more. Cos Bar – Free Shipping on purchases of $49 or more. Cosme-De.com – Free Shipping on purchases of $40 or more. COSMEDIX – Free Shipping on purchases of $75 or more. Cover FX – Free Shipping on purchases of $50 or more. Crabtree & Evelyn – Free Shipping on purchases of $75 or more. Credo – Free Shipping on purchases of $50 or more. Cult Beauty – Free Shipping on purchases of $52 or more. CVS pharmacy – Free Shipping on purchases of $49 or more. Free Returns free returns within 60 days to CVS Stores on beauty products. Davines – Free Shipping on purchases of $75 or more. DDF – Free Shipping on purchases of $50 or more. deborah lippmann – Free Shipping on purchases of $35 or more. Free Shipping for deborah lippmann account members. Derma E – Free Shipping on purchases of $25 or more. dermalogica – Free Shipping on purchases of $50 or more. Desert Essence – Free Shipping on purchases of $30 or more. DHC – Free Shipping on purchases of $85 or more. Diptyque – Free Shipping on purchases of $75 or more. Free 2-day Shipping for Free Express Shipping with $200 purchase. Dr Brandt – Free Shipping on purchases of $49 or more. Dr Dennis Gross – Free Shipping on purchases of $50 or more. Free Shipping for VIPeel Premium Member (400+ points) members. EcoTools – Free Shipping on purchases of $40 or more. EDCskincare.com – Free Shipping on purchases of $49 or more. Elder-Beerman – Free Shipping with a minimum purchase of $75 plus code FREESHIP75. Free Shipping on Beauty purchases with code BEAUTY. Free 2-day Shipping for ShopRunner members on ShopRunner marked items ($25 minimum purchase). Free Returns for ShopRunner members. Elemis – Free Shipping on purchases of $99 or more. ELF Cosmetics – Free Shipping on purchases of $25 or more. Elizabeth Arden – Free Shipping on purchases of $40 or more. Everyday Botanicals – Free Shipping on purchases of $35 or more. Exuviance – Free Shipping on purchases of $75 or more. Eye of Horus Cosmetics – Free Shipping on purchases of $50 or more. First Aid Beauty – Free Shipping on purchases of $50 or more. Foreo – Free Shipping on purchases of $50 or more. Fresh – Free Shipping on purchases of $50 or more. Gilchrist & Soames – Free Shipping on purchases of $60 or more. Gilt – Free Shipping with a minimum purchase of $99 plus code SHIP99. Giorgio Armani – Free Shipping on purchases of $75 or more. Free Returns on Foundation purchases. Glamour Dolls – Free Shipping with a minimum purchase of $25 plus code SHIPMEOW. glo – Free Shipping on purchases of $50 or more. GlowBiotics MD – Free Shipping on purchases of $49 or more. Glytone – Free Shipping on purchases of $65 or more. 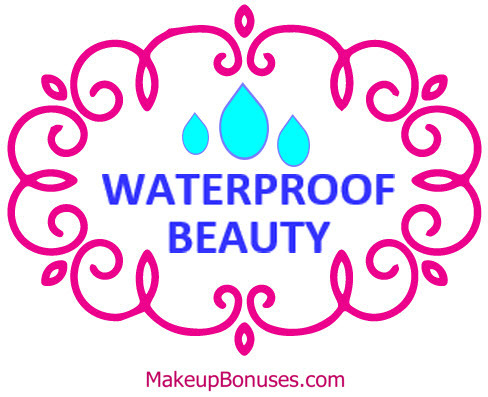 H2O+ Beauty – Free Shipping on purchases of $50 or more. hanalei company – Free Shipping on purchases of $40 or more. Free Returns on all purchases. Harmon Face Values – Free Shipping on purchases of $50 or more. Healing Natural Oils – Free Shipping on purchases of $49 or more. Herberger’s – Free Shipping with a minimum purchase of $75 plus code FREESHIP75. Free Shipping on Beauty purchases with code BEAUTY. Free 2-day Shipping for ShopRunner members on ShopRunner marked items ($25 minimum purchase). Free Returns for ShopRunner members. Hey Honey – Free Shipping on purchases of $50 or more. Honest Beauty – Free Shipping on purchases of $50 or more. Hourglass – Free Shipping on purchases of $50 or more. Free Returns within 20 days of order. Illamasqua – Free Shipping on purchases of $55 or more. Free 2-day Shipping for Free with $90 purchase. Incoco – Free Shipping on purchases of $25 or more. Free Returns within 30 days. It Cosmetics – Free Shipping on purchases of $25 or more. Jack Black – Free Shipping on purchases of $35 or more. Jet – Free Shipping on purchases of $35 or more. Free Returns on all purchases. Josie Maran – Free Shipping on purchases of $25 or more. Juice Beauty – Free Shipping on purchases of $30 or more. Julep – Free Shipping on purchases of $10 or more. Free Shipping for Julep Maven members. Jurlique – Free Shipping on purchases of $50 or more. Kat Von D Beauty – Free Shipping on purchases of $50 or more. Free Returns within 60 days. Kérastase – Free Shipping on purchases of $100 or more. Kevyn Aucoin – Free Shipping on purchases of $50 or more. Kiehl’s – Free Shipping on purchases of $50 or more. Free Shipping for Auto-Replinish orders. Kiko Milano – Free Shipping on purchases of $15 or more. Klorane – Free Shipping on purchases of $35 or more. Kneipp – Free Shipping on purchases of $50 or more. Kohl’s – Free Shipping on purchases of $75 or more. Korres – Free Shipping on purchases of $50 or more. LANCER – Free Shipping on purchases of $150 or more. Free Returns within 30 days of package delivery..
Lancôme – Free Shipping on purchases of $49 or more. Free Shipping for Auto-Replinish orders. Free 2-day Shipping for ShopRunner members on ShopRunner marked items. Free Returns for ShopRunner members AND on foundations. LANEIGE – Free Shipping on purchases of $25 or more. L’ange Hair – Free Shipping on purchases of $75 or more. Laura Geller – Free Shipping on purchases of $50 or more. Laura Mercier – Free Shipping on purchases of $50 or more. Free Returns with $50 order. Lavanila – Free Shipping on purchases of $50 or more. Library of Flowers – Free Shipping on purchases of $75 or more. L’Occitane – Free Shipping on purchases of $49 or more. Free Shipping for Auto-Replinish orders. LONDONTOWN – Free Shipping on purchases of $50 or more. Look Fantastic – Free Shipping on purchases of $25 or more. Lord & Taylor – Free Shipping on purchases of $99 or more. Free Shipping on Beauty purchases of $49 or more. Free 2-day Shipping for ShopRunner members on ShopRunner marked items. Free Returns for ShopRunner members. Loxa Beauty – Free Shipping on purchases of $50 or more. Free Returns on all purchases. Luxie Beauty – Free Shipping on purchases of $50 or more. Macy’s – Free Shipping on purchases of $99 or more. Free Shipping on Beauty purchases. Free Returns on beauty purchases. Make Beauty – Free Shipping on purchases of $25 or more. Malin+Goetz – Free Shipping on purchases of $75 or more. Mally Beauty – Free Shipping on purchases of $50 or more. Marc Jacobs Beauty – Free Shipping on purchases of $50 or more. Free Returns within 60 days of purchase. Marcelle – Free Shipping on purchases of $75 or more. Mario Badescu – Free Shipping on purchases of $35 or more. ModCloth – Free Shipping on purchases of $75 or more. Free Returns on all purchases. Murad – Free Shipping on purchases of $50 or more. NARS Cosmetics – Free Shipping on purchases of $50 or more. Free Returns within 30 days. Naturopathica – Free Shipping on purchases of $75 or more. NeoStrata – Free Shipping on purchases of $75 or more. Nexxus – Free Shipping on purchases of $25 or more. Nomad Cosmetics – Free Shipping on purchases of $20 or more. Free Returns on all purchases. NYX Cosmetics – Free Shipping on purchases of $25 or more. Obsessive Compulsive Cosmetics – Free Shipping on purchases of $50 or more. Origins – Free Shipping on purchases of $30 or more. Free Returns on all purchases. Ouidad – Free Shipping on purchases of $50 or more. Pacifica – Free Shipping on purchases of $50 or more. Peter Thomas Roth – Free Shipping on purchases of $50 or more. Pharmaca – Free Shipping on purchases of $35 or more. philosophy – Free Shipping on purchases of $50 or more. Phyto – Free Shipping on purchases of $75 or more. Pixi Beauty – Free Shipping on purchases of $25 or more. Planet Beauty – Free Shipping on purchases of $34 or more. PopSugar – Free Shipping on purchases of $100 or more. PÜR – Free Shipping on purchases of $40 or more. pur-lisse – Free Shipping on purchases of $50 or more. REN Skincare – Free Shipping on purchases of $60 or more. René Furterer – Free Shipping on purchases of $85 or more. Renée Rouleau – Free Shipping on purchases of $100 or more. RéVive – Free Shipping on purchases of $50 or more. Rite Aid – Free Shipping on purchases of $34.99 or more. Rituals – Free Shipping on purchases of $40 or more. Rodial – Free Shipping on purchases of $300 or more. Sabon NYC – Free Shipping on purchases of $70 or more. Sally Beauty – Free Shipping on purchases of $50 or more. Sekkisei – Free Shipping on purchases of $60 or more. Sephora – Free Shipping on purchases of $50 or more. Free Shipping for Flash members ($10 annual fee) & VIB Rouge (spend $1000 during calendar year) members. Free 2-day Shipping for Flash members & VIB Rouge members. Free Returns on all purchases. Shu Uemura – Free Shipping on purchases of $50 or more. Sigma Beauty – Free Shipping on purchases of $50 or more. Silk Therapeutics – Free Shipping on purchases of $30 or more. Skin and Co Roma – Free Shipping on purchases of $29 or more. SkinCareRx – Free Shipping on purchases of $49 or more. SkinStore.com – Free Shipping on purchases of $49 or more. Skyn Iceland – Free Shipping on purchases of $35 or more. Smallflower – Free Shipping on purchases of $65 or more. Sonage – Free Shipping on purchases of $50 or more. Space NK – Free Shipping on purchases of $50 or more. Free 2-day Shipping for ShopRunner members on ShopRunner marked items. Stage Stores – Free Shipping on purchases of $75 or more. Free Shipping for Platinum Stage Stores Credit Card members. Stila – Free Shipping on purchases of $50 or more. Stowaway Cosmetics – Free Shipping on purchases of $30 or more. StriVectin – Free Shipping on purchases of $50 or more. T3 – Free Shipping on purchases of $50 or more. Take Good Care – Free Shipping on purchases of $65 or more. TamBeauty.com – Free Shipping on purchases of $40 or more. Target – Free Shipping on purchases of $35 or more. Free Shipping for REDcard members when using REDcard members. Free Returns on all purchases. Tarte – Free Shipping on purchases of $40 or more. Free Returns for customers with a registered tarte.com account. Tata Harper – Free Shipping on purchases of $40 or more. Temptu – Free Shipping on purchases of $50 or more. The Body Shop – Free Shipping on purchases of $50 or more. The Detox Market – Free Shipping on purchases of $80 or more. The Honest Co – Free Shipping on purchases of $50 or more. Think Geek – Free Shipping on purchases of $75 or more. Time To Spa – Free Shipping on purchases of $99 or more. Too Faced – Free Shipping on purchases of $50 or more. trèStiQue – Free Shipping on purchases of $30 or more. Free Returns within 14 days of order receipt. Trish McEvoy – Free Shipping on purchases of $50 or more. Ulta – Free Shipping on purchases of $50 or more. Urban Decay – Free Shipping on purchases of $50 or more. Free Shipping for UD Beauty Junkies members. Free Returns within 45 days of shipping date. V76 – Free Shipping on purchases of $50 or more. VitaCost – Free Shipping on purchases of $49 or more. W3LL PEOPLE – Free Shipping on purchases of $35 or more. Walgreens – Free Shipping on purchases of $35 or more. Walmart – Free Shipping on purchases of $50 or more. We Make Beauty – Free Shipping on purchases of $35 or more. Wei Beauty – Free Shipping on purchases of $65 or more. Wei East – Free Shipping on purchases of $65 or more. Whish Beauty – Free Shipping on purchases of $50 or more. Free 2-day Shipping for Free with $100 orders. Winky Lux – Free Shipping on purchases of $30 or more. YesStyle – Free Shipping on purchases of $35 or more. Free 2-day Shipping for Free Express Shipping with $99 Orders..
Younkers – Free Shipping with a minimum purchase of $75 plus code FREESHIP75. Free Shipping on Beauty purchases with code BEAUTY. Free 2-day Shipping for ShopRunner members on ShopRunner marked items ($25 minimum purchase). Free Returns for ShopRunner members. Yves Rocher – Free Shipping on purchases of $40 or more. Yves Saint Laurent – Free Shipping on purchases of $75 or more. ZENMED – Free Shipping on purchases of $75 or more. Zirh – Free Shipping on purchases of $60 or more. ShopRunner members on ShopRunner marked items ($25 minimum purchase). Free Returns for ShopRunner members. ShopRunner marked items. Free Returns for ShopRunner members. Amazon.com – Free Shipping for Prime Items for Prime Members ($99/year) members. Free 2-day Shipping for Prime members on Prime Items. Free Returns on specially marked products. Anthropologie – Free Shipping for $150 AnthroPerks member orders members. Becca Cosmetics – Free Shipping for BECCA account holders/ members. Dermablend – Free Shipping for My Camo with $50 purchase members. Dillard’s – Free Shipping for Dillard’s Elite Card members. June Jacobs – Free Shipping for Bronze Level & above members in JJ Select members. La Roche-Posay – Free Shipping for $45 Minimum Purchase members. Shu Uemura Art of Hair – Free Shipping for Shu Style Members with $85+ purchase members. SkinCeuticals – Free Shipping for SkinCeuticals Member with $100 minimum purchase members. Hint – Free Shipping for subscriptions with 3 or more cases orders. HSN – Free Shipping for specially marked items orders. items. Free Returns for ShopRunner members AND on foundations. Wow, really great information, Thank you for doing all the research and getting all this information on bonuses all in one place. Keep up the good work, I’m going to have to take advantage of a couple of these! Great Niche! Who knew there were so many great things to take advantage of! Woah, this is great, what a comprehensive list. I had no idea so many of my favorite places to shop for makeup online offered free shipping! Thanks, I’m so glad to hear this is helpful! ShopRunner is a member-based program that offers free 2-day shipping across hundreds of different websites. Most participating stores ship for free, and do not require a minimum purchase to qualify (the $25 minimum is only for a handful of stores — as has been noted where applicable in the lists). There is an fee to join the program of $79 annually or $8.95 / month. However… eligible American Express cardholders can join for FREE (a great benefit of the card! ), and everyone else can sign up for a free 30-day trial to see if the program is worthwhile for them. Additionally, many of the merchants not only offer the upgraded 2-day shipping, but many ShopRunner members can get free returns on their purchases too! I definitely recommend this service if you shop online frequently.